A CEO gets paid 100 times the average employee salary. It is definitely not equal. But is it fair? The answer depends on whether the CEO has contributed 100 times than the average employees. It is not always easy to tell fairness from equality, but it is important not to confuse the two. Fairness should be maintained, but it is unfair and counter-productive to enforce equality. I chose engineering over medicine as my college major, mainly because the engineers understand their systems much better than the biologists. But that is before I touched economics, which turned out to be even hackier. As Soros said, social systems are reflexive. Two landmark stores in my neighborhood Borders (Palo Alto) and Andronico (Stanford), closed shops recently. I used to think that the Bay Area is so different from the rest of the America (and the rest of the world). It is the cream of the crop. It seems invulnerable. It felt almost nothing has changed, even after the dot com bubble, which it triggered. 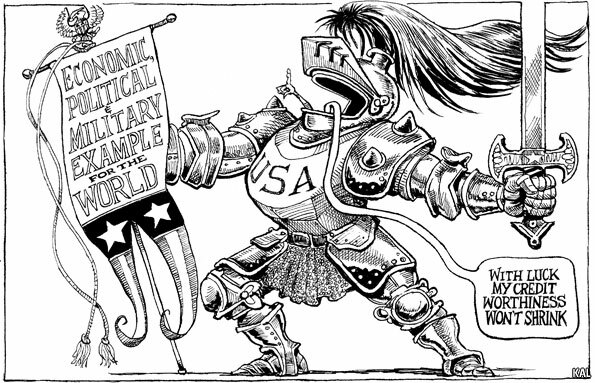 When America and the rest of the world set into recession after 2008, it managed to come up with a bubble on social networks. Companies are still hiring, and well paid jobs are plenty. It even landed several friends of mine who recently graduated from top Asian schools. But I am not so sure now. The closure of these 2 shops, which I thought will be there forever, just felt different. Something has changed. Are those the natural parts of relentless creative destructions, or signs of more ominent things to come? Thanks to the advances of probability theory and quantum physics, most people today would have no problem accepting the fact that the physical world we inhabit is subject to randomness and the future cannot be predicted deterministically. However, we tend to associate this randomness with the microscopic atomic world and under-estimate the role randomness plays in our macroscopic daily lives. In a nutshell, due to evolutionary reasons, human minds tend to rationalize events that are random, often trying to find patterns, rules, or causalities that really do not exist. Two books render this point excellently; one by Taleb that I read a while ago, and another by Mlodinow that I just finished yesterday. Mlodinow is a scientist turned writer, and thus his book is written in a popular science fashion, with plain English descriptions (no single equation is shown in the book) of the basic probability and statistical theories, their historical progressions, and anecdotes of peoples involved in their discoveries. 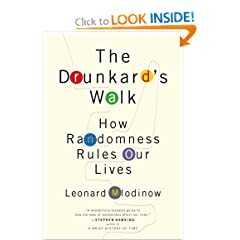 Based on these scientific expositions, Mlodinow ventured into a few more philosophical suggestions, such as that life is more random than we intuit and thus we should not interpret too much rules or causalities, as well as the suggestion that the best strategy to overcome this randomness is the law of large numbers, i.e. keep trying and never give up easily. Overall, this is a highly entertaining book, and I particularly enjoy the anecdotes of these scientists and mathematicians involved in the evolution of the probability and statistical theories. (It appears that their lives and discoveries are also subject to randomness.) I also concur with the moral lessons that Mlodinow suggested (anyone with enough experience in scientific publications, or more precisely, rejections, ought to be able to appreciate the meaning of the law of large numbers). Taleb, on the other hand, is a philosopher turned trader (or the other way around; I cannot really tell). 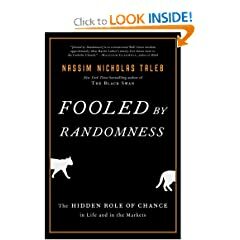 Thus, even though sharing a similar central theme with the book by Mlodinow, the one by Taleb is filled with stories and observations he made from his trading desk (or pit) interspersed with either philosophical statements or scientific statements made by a philosopher. 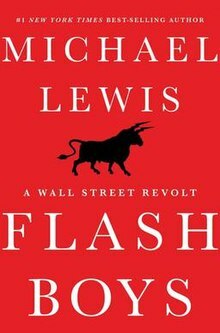 The book is also highly entertaining but in a way different from Mlodinow’s; it is more sarcastic (in a good way) and the anecdotes are about the financial rather than the scientific world.